The recognition of nationally significant historical sites is a goal of the National Park Service. This volume presents some of the documents resulting from National Park Service efforts to preserve and record important remnants of Alaska's Russian-American heritage. Included are studies of St. Michael's Cathedral, the Russian Bishop's House, Russian American Magazin, Seal Islands, Holy Ascension Orthodox Church and Holy Assumption Orthodox Church. These studies were undertaken as part of the National Historic Landmarks program. They combine original research, a synthesis of historical scholarship, and field documentation to define the Landmark's historical significance, determine its state of preservation, and designate appropriate boundaries. A new Landmark study is also included for Building No. 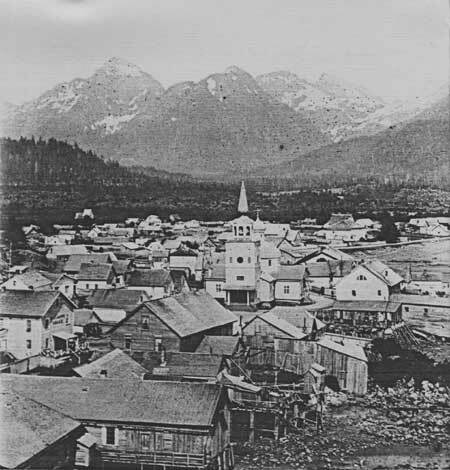 29, Sitka, which was designated a National Historic Landmark on May 28, 1987. The National Park Service has actively worked to preserve the significant Russian Bishop's House National Historic Landmark, which is a component of Sitka National Historical Park. The Russian Bishops' House was acquired in 1972 and has slowly and carefully been restored to its 1843-53 appearance. A history of the building prepared as part of a National Historic Landmark study is included here. The History Branch, Cultural Resources Division of the National Park Service, Alaska Regional Office, has prepared this volume to encourage wider recognition of the National Historic Landmarks program in Alaska. The Landmarks pose a preservation challenge. It is hoped that the efforts represented in the following pages will stimulate creative responses, both public and private, to ensure the future of these nationally important sites.